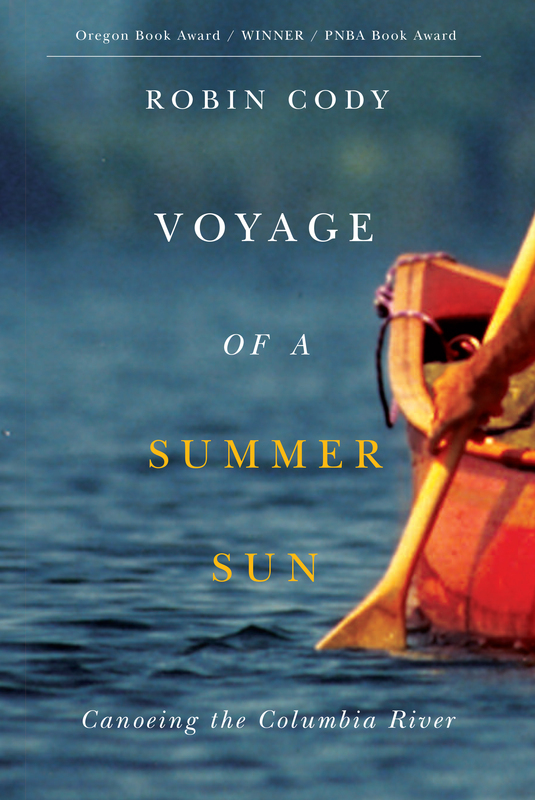 Voyage won the 1996 Oregon Book Award for literary nonfiction. From Oregon State University Press comes this non-fiction account of my 1,200-mile canoe trip, solo, from the Columbia River’s headquarters to the river’s mouth at Astoria. On a June morning in 1990, high up in the Canadian Rockies, I pushed a sixteen-foot Kevlar canoe through the tall grass and mud to launch it on a peaceful Columbia Lake, the nominal source of a river that heaves more water into the Pacific Ocean than any other river in North or South America. The canoe snuck up on bear and moose and raptors and beavers who make a living on the Columbia. I dropped in on river people: the trapper, the wind surfer, the archeologist, the lock operator, the native woman who grew up at riverside in a dwelling made of tule reeds. Keep your eyes peeled. Keep your expectations at bay, and you catch the mysteries of a much-altered and regulated river that is still, at its heart, a life-giving place. The story is the Columbia River, not the canoe and me. It’s not an adventure story, though I had more adventure than I’d hoped for. And I didn’t set out to find myself, if I could help it. Nor did I launch the book with a large point to prove. No, the trip turned out to be a voyage of discovery, and its telling is the uncovering of surprise on a river I thought I knew. They say some people love rivers, and if you do, you do. As if a feel for rivers is something you are born with, like blue eyes. Or maybe a love for rivers is something you come down with, like a fever. But for me it’s been something to keep working at. A love for rivers grows deeper and richer the more you try. It’s a peculiar kind of love, unreligious and not reciprocal, with no more than an occasional illusion that the river might care for me. The more I know about rivers, the smaller I get. Voyage was first published as a hardback in 1995 by Alfred A. Knopf, Inc., in New York. Illustrations are by Heidi Cody, the author’s daughter. The edition you see in bookstores today is by Oregon State University Press, in 2010. This new edition includes an “Afterword,” updating changes in the river during the twenty or so years since the first edition. This is the book Huck Finn might have written if he’d canoed the Columbia River instead of rafting the Mississippi. A spellbinding journey into the heart and soul of the West . . . Humorous, meditative, powerful, this work holds the reader like a magical eddy. Robin Cody has perfectly captured the blend of beauty and sorrow that is the modern Columbia River . . . an intimate story that is large in scope, surprisingly funny, a little bit heartbreaking and, most of all, a voyage for the rest of us to envy. A smooth and exciting book . . . Cody’s skillful blend of past and present allows the rhythms of the Columbia to take control . . . An unpredictable ride.